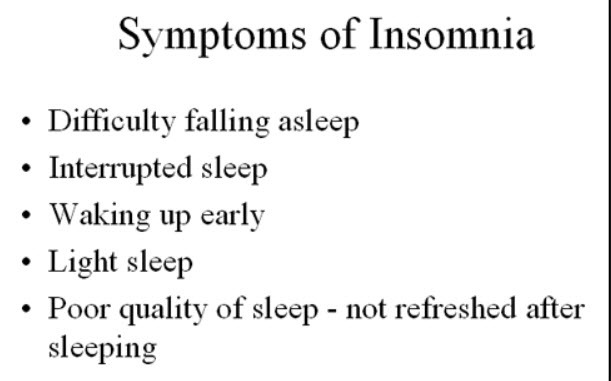 Insomnia is a sleep disorder that regularly affects millions of people worldwide. Individuals find it difficult to fall asleep or stay asleep. The effects can be devastating. It usually leads to daytime sleepiness, lethargy, and a general feeling of being unwell, both mentally and physically. Mood swings, irritability, and anxiety are common associated symptoms. It has also been associated with a higher risk of developing chronic diseases. According to the National Sleep Foundation, 30-40 percent of American adults report that they have had symptoms of insomnia within the last 12 months, and 10-15 percent of adults claim to have chronic insomnia. It is commonly divided into three types. Transient – occurs when symptoms last up to three nights. Acute – also called short-term insomnia. Symptoms persist for several weeks. Chronic – this type lasts for months, and sometimes years. According to the National Institutes of Health, the majority of chronic insomnia cases are side effects resulting from another primary problem. Good sleep hygiene, including avoiding electronics before bed, can help. Some types resolve when the underlying cause is treated or wears off. In general, treatment focuses on determining the cause. In addition to treating the underlying cause, both medical and behavioral treatments are used as therapies.